A late 17thc/early 18thc oak gateleg table with one drawer and good patination. 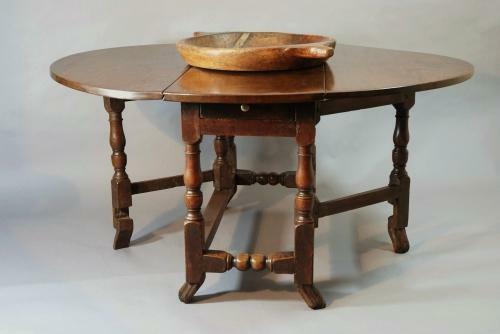 This table has heavy turned legs with turned end stretchers, standing on unusual braganza (Spanish) feet. The table is of good proportion and will easily seat six people.